For all those who do not know what this dates means. 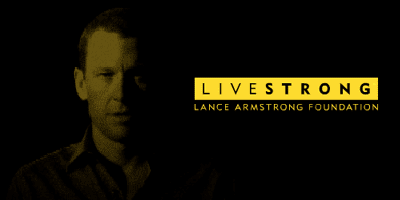 It was the day back in 1996 when Lance was first diagnosed with cancer. It has been 12 years and yes he is back at the tour. I love how they are making a big deal. Most of the people in Europe want to test him like 12 times a day because they still think he cheats. Look at the Ironman World Championships, there are people from all over the world who win and do you see the Americans chasing them with needles saying they cheat? People I think are somewhat jealous of what others can do and do not give themselves credit for accomplishing something small they always want to take down the big man. I rest my case. I am glad he is going to race again and whether he wins or not it does not matter he just wants to support his cause and that is what it is all about.